U.S. Secretary of State Mike Pompeo holds a news conference as he attends the NATO foreign ministers' meeting in Brussels, Belgium on Tuesday, Dec. 4, 2018. The United States warned Russia Tuesday it has 60 days to start complying with a landmark missile treaty or Washington could abandon the pact, creating doubts about nuclear security in Europe. 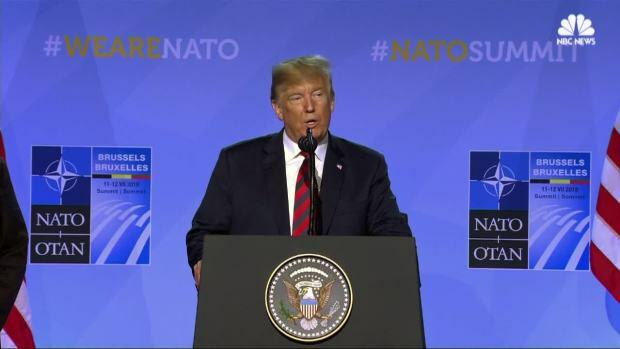 At NATO talks in Brussels, Secretary of State Mike Pompeo accused Russia of "cheating at its arms control obligations" under the Intermediate-Range Nuclear Forces Treaty. Pompeo warned that if Russia did not comply with the treaty's terms within 60 days, Washington could activate a six-month notice period for leaving the 1987 pact. 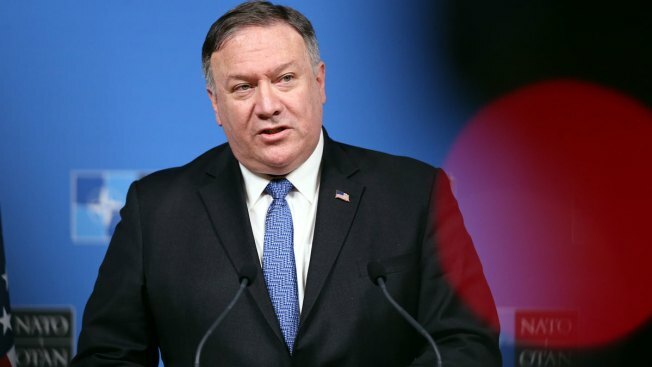 "Russia must return to full and verifiable compliance; Russia's failure to do so will result in the demise of the INF Treaty," Pompeo told reporters. "Our nations have a choice. 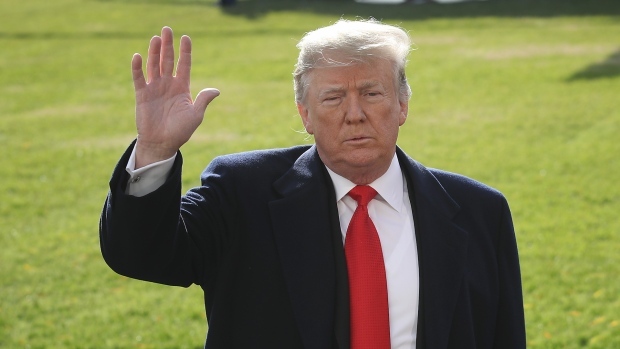 We either bury our head in the sand or we take common sense action in response to Russia's flagrant disregard for the expressed terms of the INF Treaty," he said. The bilateral treaty between Washington and Moscow banned all land-based cruise and ballistic missiles with a range between 500 and 5,500 kilometers (310-3,410 miles). Russia says the range of the new system does not exceed 500 kilometers. 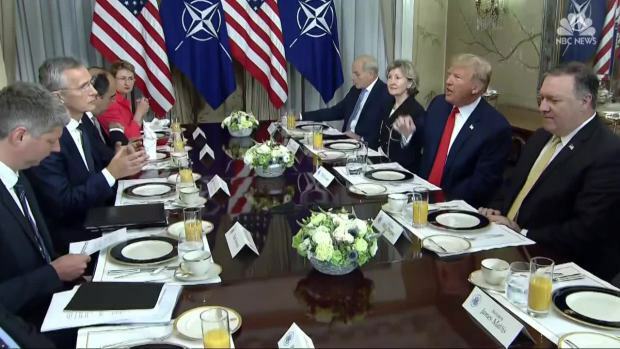 U.S. allies in NATO said Tuesday they "strongly support the finding of the United States that Russia is in material breach of its obligations." They called on Russia "to return urgently to full and verifiable compliance." While Pompeo did not announce the end of the pact, its demise seems all but certain. "I regret that we now most likely will see the end of the INF Treaty," NATO Secretary-General Jens Stoltenberg said, adding that "no arms control agreement will work if it is only respected by one party." Daryl Kimball, executive director of the Arms Control Association, said he does not see the Russians returning to compliance under current conditions. "They are not going to change course on the basis of a U.S. threat to withdraw," Kimball said. He said the U.S. needs to redouble diplomatic efforts with Russia to find a way to resolve the noncompliance issues, but he doubts this will happen. In Moscow, Foreign Ministry spokeswoman Maria Zakharova said that "Russia strictly complies with the provisions of the treaty, and the American side is aware of that." Stoltenberg accused Russia of using the Crimean Peninsula as a platform to take control of waters off eastern Ukraine, as allies struggled to find ways to dissuade Moscow from destabilizing the former Soviet republic. Robert Burns and Matthew Bodner contributed to this report.